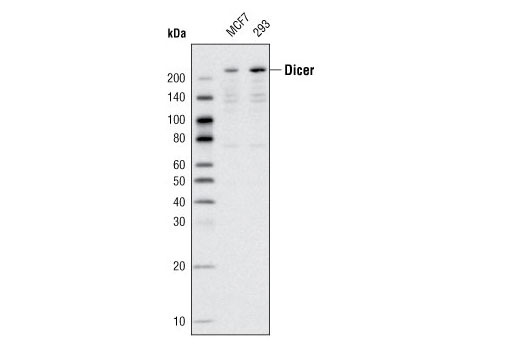 Background: Drosha was identified as a nuclear RNase III that catalyzes the initial step of microRNA (miRNA) processing (1). 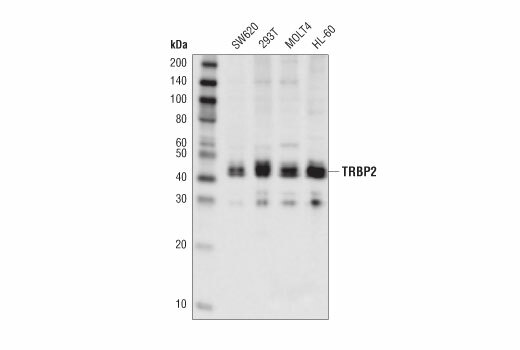 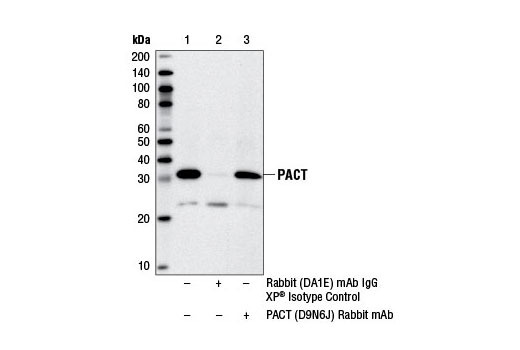 This enzyme processes the long primary transcript pri-miRNAs into stem-looped pre-miRNAs. 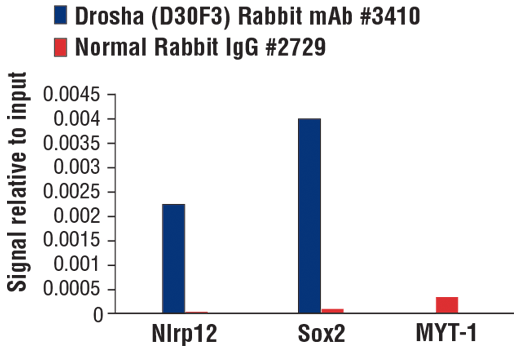 Interference of Drosha results in the increase of pri-miRNAs and the decrease of pre-miRNAs (1). 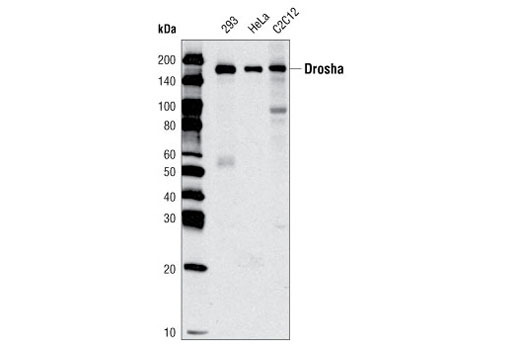 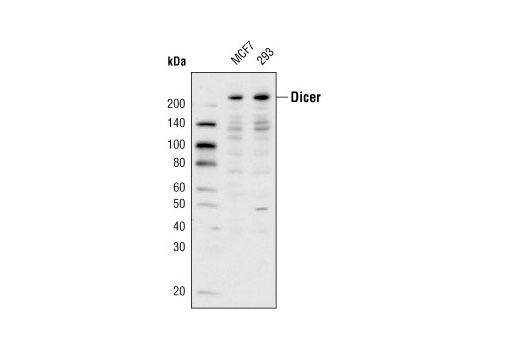 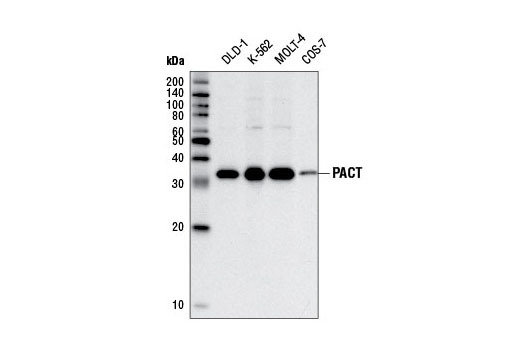 Drosha exists in a multiprotein complex called Microprocessor along with other components such as DGCR8 (2). 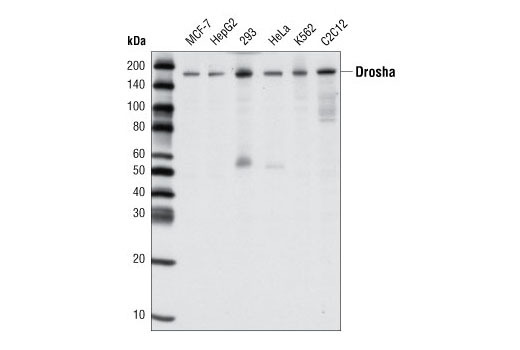 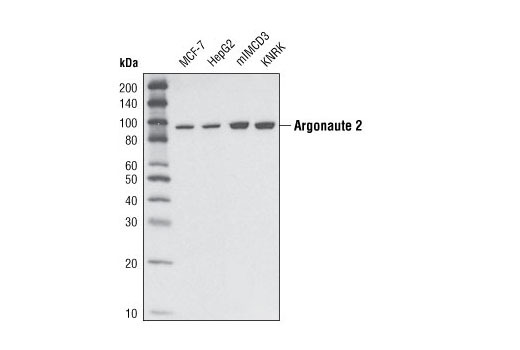 Drosha, along with DGCR8, is necessary for miRNA biogenesis (3).